The Pro Startmaster PW520 is a professional starter and charger capable of providing reliable performance. Heavy-duty crocodile clips, charge leads and reverse polarity protection are standard. 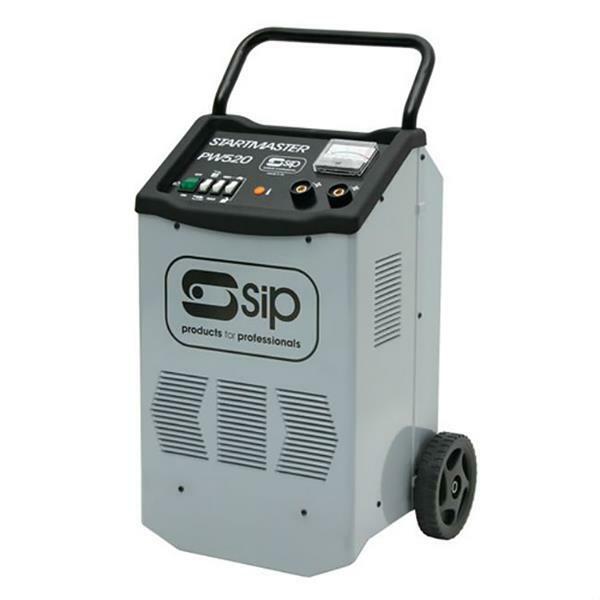 The SIP collection of starting and charging equipment features a number of powerful trade and professional units offering unrivaled performance in all applications and fantastic value. Free delivery on orders over €50/£50 + VAT to Ireland & UK on orders placed online only! We aim to provide next day delivery on all small items, 48 hour delivery to UK & Europe. Find out more information on our delivery.